It is an amazing experience to be aboard a tall ship like the Brig Niagara as her sails unfurl and the hull begins to surge forward, the rig creaking as the sails fill. Just being a passenger aboard as the ship begins to move ahead under sail is an inspiring moment. You can feel the power in the rig, and the excitement on the deck as the crew busily works all around you to hoist, trim, adjust and secure the lines in a repeated symphony of orchestrated commands and responses. The Brig Niagara is one of the most majestic of tall ships designs from the early19th century. Two hundred years ago ships like it shared the waterways with graceful schooners, brigantines, and barques. Standing on its’ deck you can let yourself imagine for just a moment that you have gone back in time. People of all ages are often amazed and spellbound by tall ships when they come into port. For many just going aboard for the first time is an eye opening experience. Some wonder about the life at sea and consider the romantic notion of being a volunteer or perhaps taking courses to become trained crew. But even though I have been sailing aboard small boats since I was a young boy, I quickly recognized when I first went aboard a tall ship that it is altogether different from my other sailing experiences. It takes a large crew of trained sailors to carry out the wishes of the captain. There is a complex set of skills and verbal commands required and an absolute need for teamwork and communication to make this ship sail effectively. Perhaps a little known fact about the current US Brig Niagara is that the ship’s primary mission is sail training. “Sail Training” is a step-by-step process designed by the Brig Niagara staff to train willing students to become a crewmember. Over the past 30 years the Niagara has trained hundreds, perhaps thousands of crew. Many of their crew has gone on to sail aboard other tall ships going around the globe or transporting “semester at sea” students around the Caribbean. Some have become mates, even captains. Over the years the National Park Service, the Perry Group, Chamber of Commerce and the many businesses here in Put-in-Bay have embraced the Brig Niagara as a crucial part of sharing our unique history with others visiting the islands. No other ship embodies the teamwork and skill required to sail a tall ship, any tall ship. The crew and officers of the Brig Niagara are known around the world for their premier sail-training program. We are working hard to promote their ongoing mission on the great lakes. It is incumbent upon us, the supporters of the Brig Niagara, to keep the sail-training program healthy and growing. 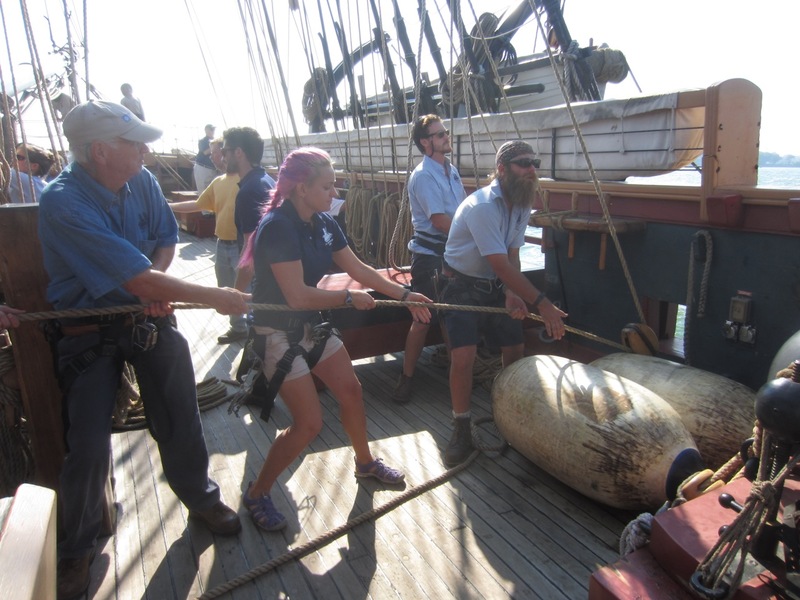 Part of that mission is to find and train new young students the basics about sailing aboard a tall ship. 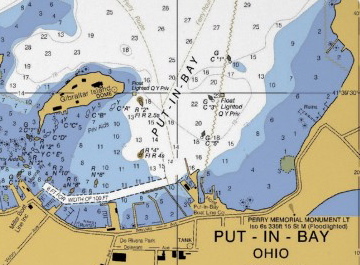 The Perry Group, along with the help of Flagship Niagara League are interested in promoting this amazing connection between the Brig Niagara and Lake Erie Islands by establishing and underwriting an annual scholarship for one student from our area to be aboard the Brig Niagara for 4 weeks during the summer. We think this is one of the most important educational projects we can promote and participate in, a that will not only help a student learn a new skill, but promote the Brig Niagara which is so important to our history and tourism here in Put-in-Bay. If you’re between 16 and 23 or know someone how is and want to learn more about this scholarship let us know. This scholarship will require an essay and a keen interest in learning seamanship.